No prep - simply print and provide for your class. 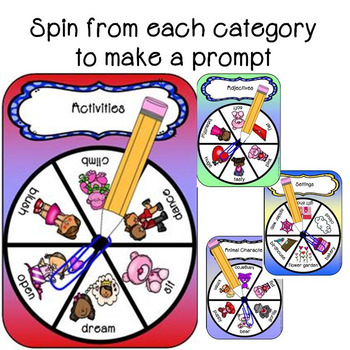 Students use these interactive spinners to help them overcome their troubles of what to write about. 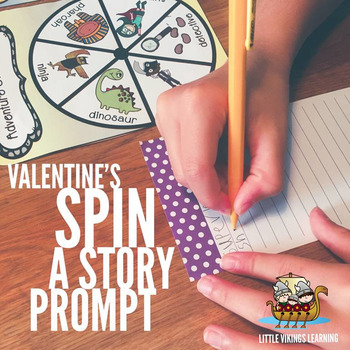 They simply combine the outcomes that they have spun to form their own basic story prompt. 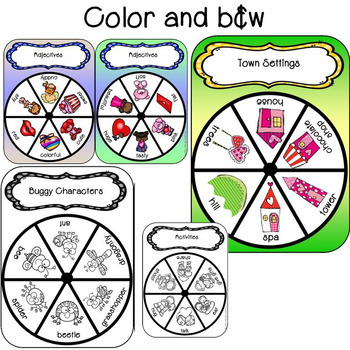 Every spinner has pictures and 1-2 words to make it appropriate for young learners and learners of English. 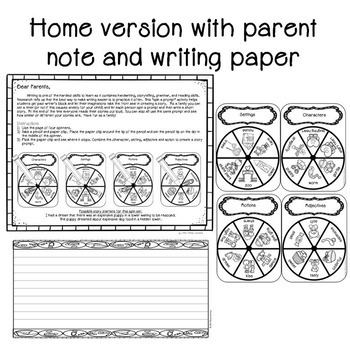 Bonus home version with letter to parents included to help strengthen the link between learning in the classroom and at home. I would love to know how you used this product. Simply leave your answer and feedback on this download and you'll gain valuable tpt points that can be used to buy other products on this site instead of using cash.